Well, BuddyPress doesn't offer a shortcode for just showing the online members in a page/post out of the box. For this, you need to set up a custom page template with the BuddyPress members loop. First of all create a new page template inside your theme/child theme. 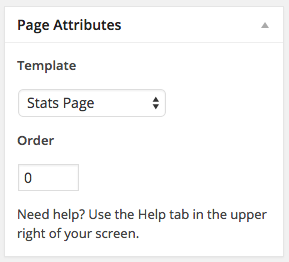 Here's a guide on how to create a custom page template. You can also create a shortcode if you want. Here's a guide on how to create a shortcode. However, lets move forward. Put the following members loop inside your custom page template or shortcode. This code added to a custom page template or added as a shortcode will output your online members. Hi Nahid. Thanks for all that. I have installed a child theme. There are a few folders within the child theme. Where should i post the template to in the child theme? Or if I create a shortcode and insert this on a page template will the format be the same as my themco x templates? I have installed a child theme. There are a few folders within the child theme. Where should i post the template to in the child theme? The custom page template file should be inside your root theme directory, not inside any folders. Yes, well at least if your theme is using the default BuddyPress HTML layout, which it should by default. In addition, how can I add the location of the members online beside the name? I created a custom field type location. Well, if you have added the page template correctly, you should be able to select your page template inside the Page Attributes section while creating your new page. Here's a screenshot as an example. IF that doesn't show up, can you attach your members-custom-template.php in a zipped folder and attach it in your next reply? For the location, can you refer to this thread from the BuddyPress forums? I inserted the file in the x-child directory. There is also a 'framework' sub folder. Should I have placed it there? Would the template name in the page attributes be the name of the file.php or another name within the code you wrote? I dont have access to my pc at the moment so will send file later. Let me know what the results are. And when you upload the file, make sure you upload a copy of your page.php file from the parent theme too. It may be needed later for the header and footer. thanks. i will add the comments part to reference the page name. Sorry i dont understand your last paragraph. Please tell me in steps what to do. Currently i have just created the 'custom-page.php' in my x child folder. If there are more steps and copies to make please can you outline exactly what page you are talking about. It'd be helpful if you could attach your custom-page.php file in your next reply. Moreover, can you please grant Staff Access on your site? To grant Staff Access, you can try following this handy guide. I'll be looking forward to hearing from you. Thanks! I have created a page "Members Online Now" and yes I now have a page attributes template called "Custom Members Online". But when i preview the page its completely blank. I thought i would see my profile online. Its not taken the x theme header like the members directory. Please find attached php file and I have granted access via the support dashboard to my site. I now have a page attributes template called "Custom Members Online". But when i preview the page its completely blank. I thought i would see my profile online. Its not taken the x theme header like the members directory. Hope you are having a great day and please excuse my late response! Well, it seems to be some problems with your PHP file. Unfortunately, I can't find the PHP file attached to your post for some reason. Can you try zipping the file and attach the zip folder here? If that doesn't work, you can upload the PHP file in a cloud storage service like Dropbox and post the link here. Moreover, can you send your FTP and other credentials through our secure contact form? Hi Nahid. Ive hired a developer to finish the work and complete other modifications. Thanks for the help so far. I respect your decision and I'm hope this issue gets solved very soon. Thanks for being with us! I'm also marking this thread as resolved.